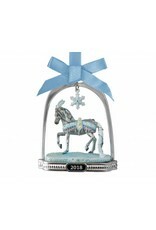 She is framed inside a classic silver-tone stirrup that has a crystal snowflake dangling from its top. 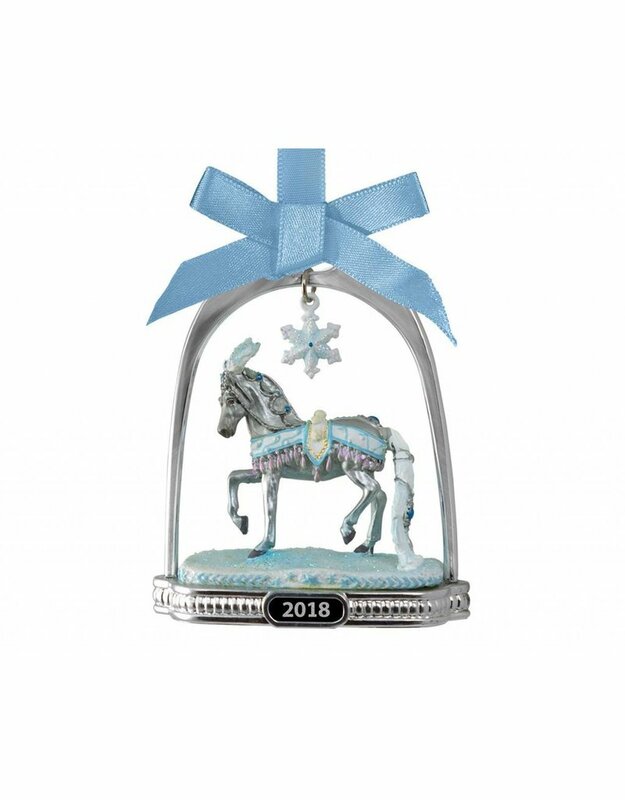 This glittering ornament hangs from a blue ribbon, and is the perfect accompaniment to the 2018 Holiday Horse! Approximately Mini Whinnie Scale (1:64) horse, with Stirrup measuring 2.5" x 3.5" x 1"